Things to do in Luang Prabang, Laos | About various things! 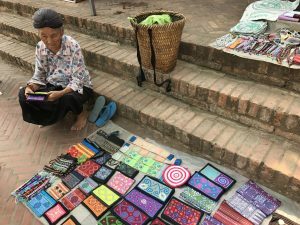 If you want to add Luang Prabang – Laos to your list of touristic destinations, but your reasons are not very convincing, I thought to offer you some reasons to help you decide quickly. 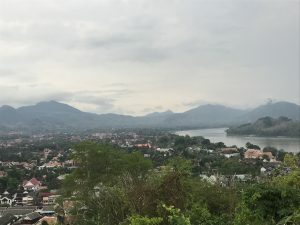 I was in Laos, I lived for a few days among the people in this wonderful country, and I want to tell you which are the most exciting motives for me to go there for. 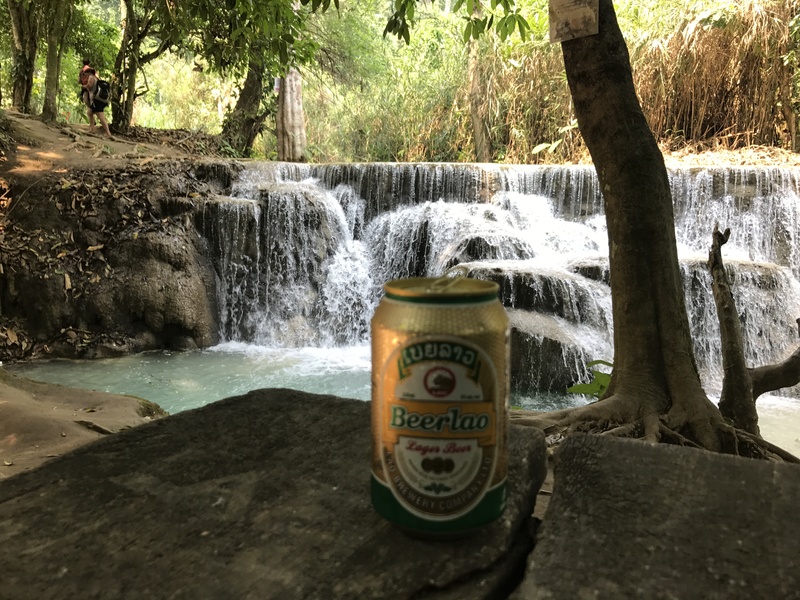 In Laos, I found the quietest country with the most relaxed people in all the countries I’ve visited so far. In Luang Prabang, the only bigger noises you hear come from the scooters and the tuk-tuks that walk the tourists. But those also decrease after sunset, and culminate with the restaurants and terraces that, starting at 21:00, pull their shutters, giving absolute silence to the city. Even during the day the terraces aren’t noisy and tourists do not seem to be disturbed by the fact that they are serving lunch or dinner accompanied by discreet music. In this country, tourists find resources to adapt quickly to the Laotian’s peaceful lifestyle. It is a delight to sit on a terrace on the shores of the Mekong River and to see the smooth flow of water, identical to the time spill in this corner of heaven. The worries seem to pass by the inhabitants of Luang Prabang, no one hurries, and sometimes only the curiosity of the tourists takes them out of their everyday routine. It is a very safe city, I never felt threatened by anything, nor did I have the impression that someone would try to trick me in any way. Former Laos capital, Luang Prabang is a small UNESCO-listed city and shelters about 33 Buddhist temples of magical beauty. Asia generally abounds in temples with impressive architecture, but in Laos I have seen many beautiful temples in one city. 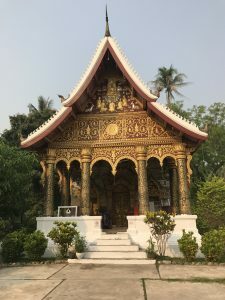 I would just mention a few of them: Wat Pa Phai – The Bamboo Forest Monastery, Wat Mai Suwannapumaram Temple – with a very beautiful Buddha statue inside, Wat Xieng Thong – with its gorgeous glass paintings, temples I wrote about here. In the city center there are many places of worship, and at any time of day you meet Buddhist monks on the street, in the market or in the shops. Although Laos is a communist country, they are free to practice religion (Buddhism), trade, but also many other activities that we were forbidden at one time. In Luang Prabang, alms giving ceremony is the most sacred Laotian tradition takes place daily. Hundreds of Buddhist monks from all the temples in the city start, at 6am, in perfect tranquility, in a ceremony that takes place along the main streets of the city and collects daily food from people who want to help them : cooked rice or packed cookies. The guesthouse we were staying at, Villa Champa, is located at the intersection of two streets where this ritual was taking place, and every morning we admired this ceremony, which took place the same every time. I saw how, the same people eager to help them, reached the well-known places, stretched out the mats they brought from home, and sat down in a position of respect for the sacred moment for which they were preparing. When the monks appeared in an ordered row, in the same dominant tranquility, all the locals present (and even tourists) took the rice from their personal bowls and transferred it to the monks’ vessels without looking into their eyes, even if a lot of them were childrens. 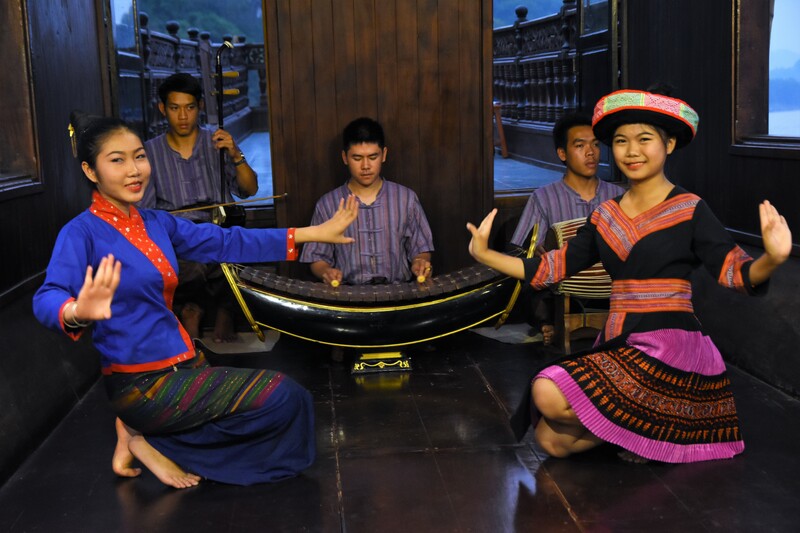 It’s a moment you should not miss in Luang Prabang. Luang Prabang is not an expensive destination, but not very cheap. You can find accommodation starting at $10, but also with $200 per night, depending on the comfort you want. 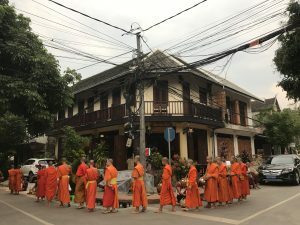 We stayed at a chic guesthouse, close to Mekong, on the main street where the ceremony of the monks took place, but also very close to the night market and the rest of the tourist attractions. The price we paid was $26 for a night of accommodation. As for food, this is not too expensive, you can have a $5 per person dinner, but you can also go to famous restaurants and order international dishes at fairly high prices. Personally, I preferred traditional food from the terraces and restaurants that are acceptable in price and without too much claim, but intimate and relaxing. 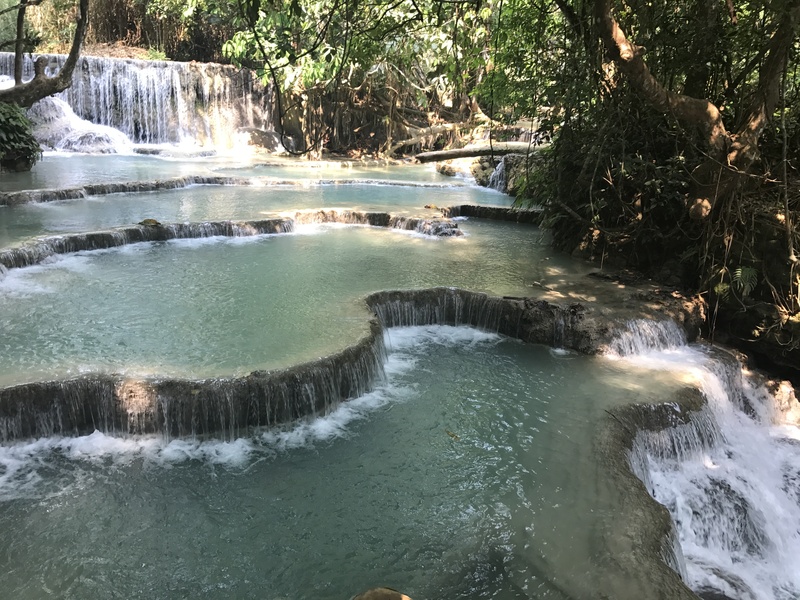 Located at 29 km from Luang Prabang, Kuang Si Falls is the most beautiful waterfall I’ve ever seen. Although I read a lot about her before I got there, I never imagined it could be so spectacular. For about $10 per person, we had access to this miracle of nature at an early morning hour, to avoid crowding at lunch time. The pictures that open up in front of you are from stories books: natural swimming pools with tremendous turquoise waters, where some dazzles are bathing, although the water is cold, trees with strange shapes that grow in water and envelop each other as in a hug, and it culminates with the 60 meter high waterfall that flows harmoniously among the hundreds of trees that guard their edges. Located very close to the Kuang Si Falls Waterfall, this farm attracts you like a magnet. 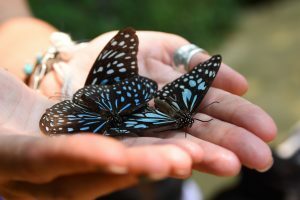 When we entered the perimeter where dozens of colorful butterflies were lodged, we experienced the feeling of returning to childhood. I ran to play with them, I held them up and enjoyed them as a child when several butterflies sat down on my head 🙂 This place is well cared by a family of Europeans who devote themselves all the time multiplying and studying the evolution of butterflies. Images cannot be well described in words. Laos is a green country, nature is at her home, whether it is the jungle, the parks or the city center. Luang Prabang and its surroundings are surrounded by forests, mountains, jungle. The rice fields are not to be neglected as well because a walk through the terraces set up for the growth of rice takes you through another world. 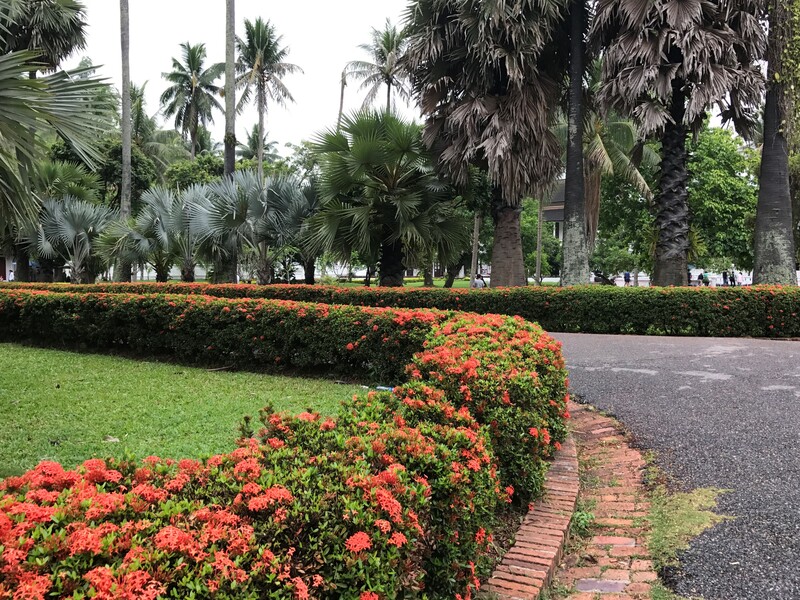 The city’s parks are dominated by lush trees, beautiful flowers and very clean grass portions. 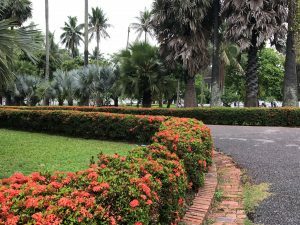 A visit to a park in Luang Prabang takes you back to a botanical garden with exotic trees. It’s worth spending an afternoon in the middle of nature, in an unpolluted city like Luang Prabang. Asia is a favorite destination for many tourists to renowned markets where you can negotiate absolutely everything. 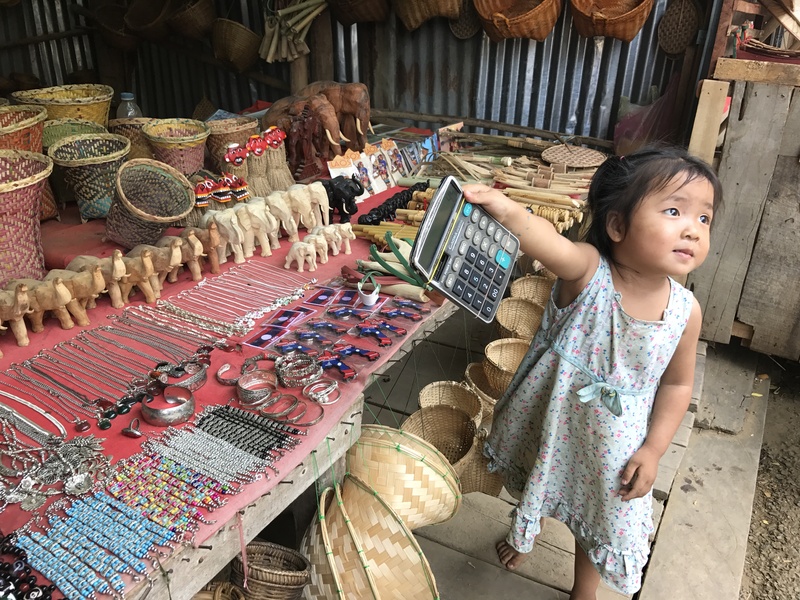 And in Luang Prabang is such a market where you experience a unique experience. In the night market here you can find many local products but, like everywhere, you also encounter objects produced in China or other neighboring countries. For local products, vendors are willing to negotiate with you up to sums that seem ridiculously small to us. 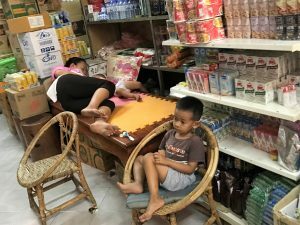 It is not very appropriate to use the precarious material situation of those who ask you to buy from them and buy the products at exorbitantly low prices. They live from this trade and enjoy it when they see the happiness on your face after you’ve just bought something. With only $2, you can buy a handmade, incredibly beautiful hand-painted bowl of coconut, and for $3 you can buy a good quality cotton T-shirt. For just $1 you can have the best mango juice made in place and for the same price you can have a plate full of everything you want for dinner. There is not to miss the experience in the night market. A further $1 cost a teaspoon made from the remains of bombs that hit Laos during the Vietnam War. 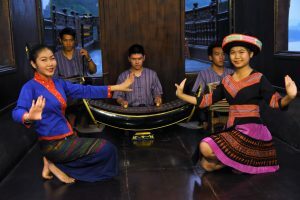 A day spent in the sublime city of Luang Prabang can end with a cruise on the Mekong River, accompanied by traditional songs and dances, but also a rich dinner. 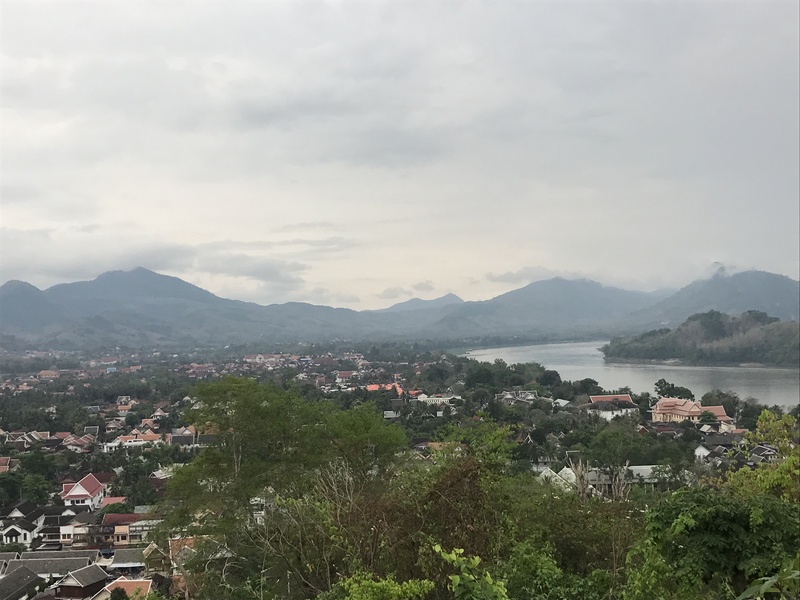 On clear days, Luang Prabang enjoys spectacular sunsets, and if you choose to spend an afternoon aboard a boat to walk along Mekong, you can have a sunset as you see only on postcards. We have had such an experience and have witnessed the show offered by nature. For $8 we took a ride on the river, admired the fishermen who gathered their prey for the day, saw a beautiful sunset while listening to Laotian songs, and enjoyed a fabulous dinner. I am kicking myself for not going to Laos when I went to Vietnam and Cambodia. Next time I’m in Thailand, I intend to go to Laos. 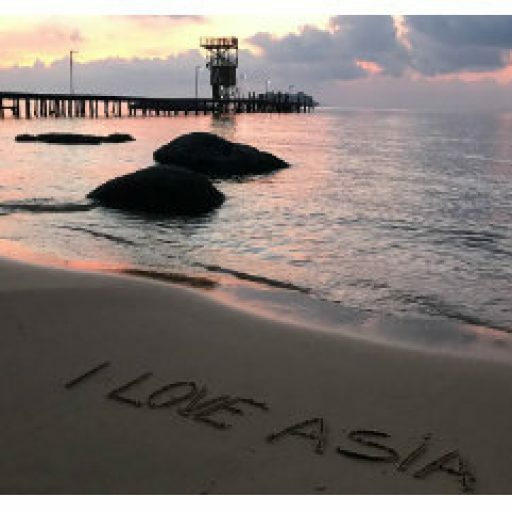 I just love ur writeup, amazing pics and the beauty of the place..
Reasons to go to Southeast Asia | About various things!